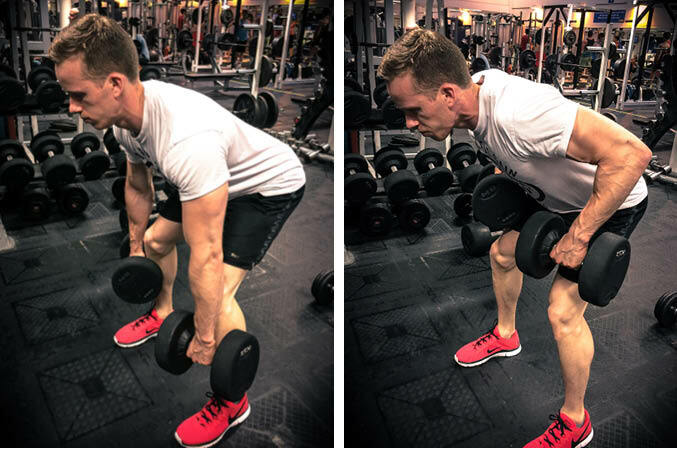 The Dumbbell Bent Over Row is an upper body exercise that primarily targets the middle back and lats, but also works the biceps and shoulders. This is a compound exercise which is well suited to beginner lifters. You can use an underhand or overhand grip. Grip two dumbbells, one in each hand and deadlift them up. Push your hips back, bending your legs slightly at the knees. 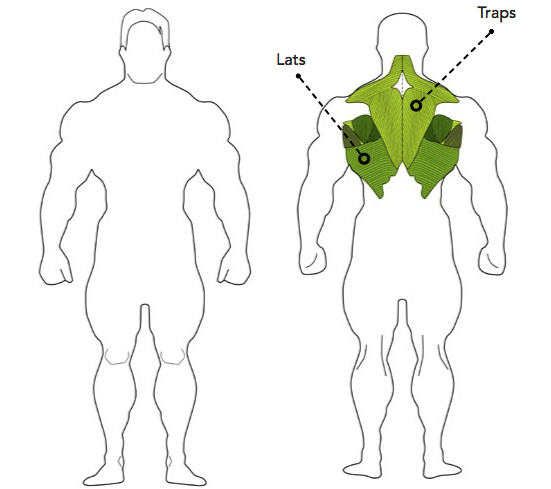 Your chest should be up, abs tensed and your lower back flat. Pull the dumbbells up to your stomach in a smooth motion by squeezing your shoulder blades back and bending your arms at the elbows. Lower the dumbbells back to the starting position and repeat.